Your windshield is vital to your safety while in your vehicle. It provides strength when an accident occurs as well as helps keep you from being ejected if involved in an accident. 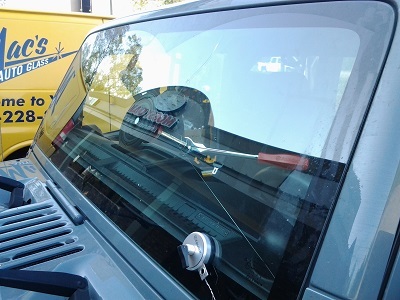 Windshields replaced repaired correctly is vital. It is important to ensure that when having your windshields replaced repaired correctly that you look for more than just a price. Without a quality windshield replacement, you could be endangering your live if involved in a serious accident. Poorly installed windshields can pop out in an accident. This could cause your roof to cave in and possibly crush you. In addition, when your airbag is deployed, the force on the windshield could blow it out if it is not firmly glued in place. Thirty percent of all fatalities are due to people being ejected from their car. It is important to purchase a quality windshield. Your windshield is two sheets of glass held together by an inner layer of strong vinyl. When the windshield breaks, the vinyl holds the glass in place rather than allowing the shards to fall into the car and possibly cut you. Choosing a good installer is also very important. Obtaining references from your potential installer as well as looking at reviews can help you choose a quality installer. Their years in business as well as their ability to professionally answer all your qualifying questions is helpful. At Macs Auto Glass, I have been in the auto glass industry for over 30 years. I, Chris MacShane, personally complete all windshield repairs. I come to you and repair all windshields at your home, office, or ours sites you prefer. Therefore, not wasting your valuable time sitting in a waiting area while your windshield is replaced or repaired. All our work has a lifetime warranty on workmanship. In addition to windshield replacements we also complete back glass & door glass replacement. We perform windshield repairs/chips, sunroom repairs or replacements, water leak repairs, as well as other services. Please call me at 251 228-2744 if you live in Baldwin County and need any of my services. Also, you can visit my website at www.macsautoglassal.com to learn more about me and my services.